Three decades ago, Suzuki literally invented the 4-wheel ATV. The original Suzuki LT-125 established Suzuki as the First on 4-Wheels. With the 30th anniversary of that breakthrough, the Suzuki KingQuad 400 lineup carries on the tradition of performance that rules. The KingQuad 400ASi offers an unrivaled combination of exciting sport performance and hard-working capabilities. So whether you're tackling a tough job or a tough trail, you'll appreciate its impressive torque and remarkably wide power band. 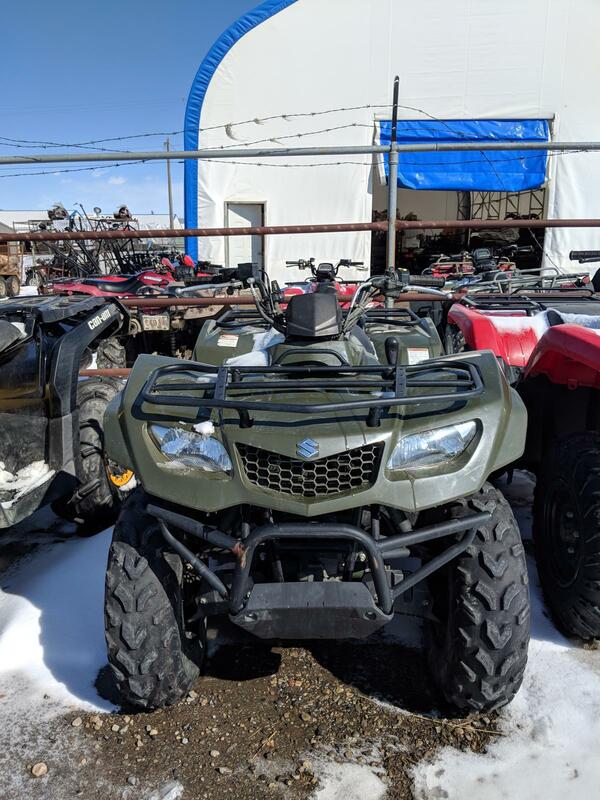 It also lets you select two- or four-wheel drive operation quickly and conveniently, which gives it the versatility to handle rough conditions, daunting chores - or let you enjoy a backwoods getaway. Its aggressive styling also reflects its willingness to take on tough jobs. 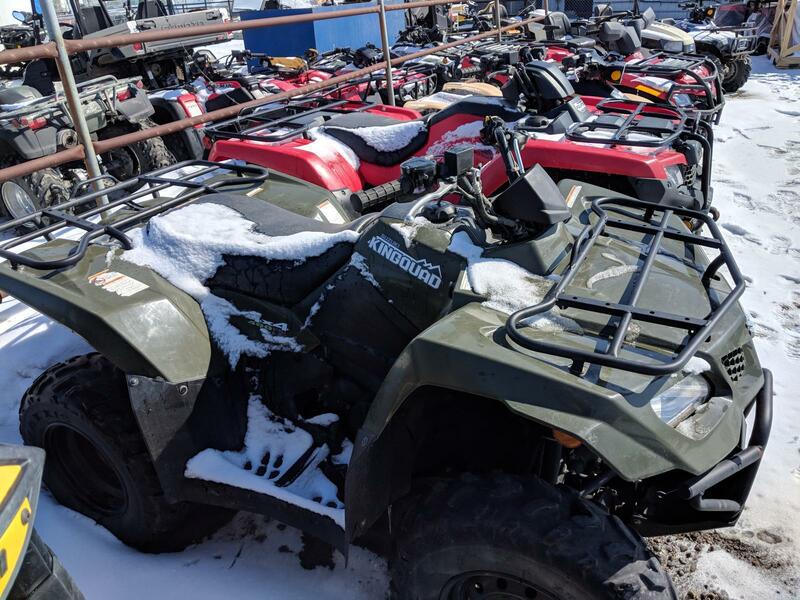 The KingQuad 400ASi has a strong powerplant engineered for impressive torque across a wide powerband and a technically advanced QuadMatic™ transmission that offers exciting sport performance matched by hardworking capabilities. The KingQuad 400ASi has Suzuki's class-leading fuel injection and comes with a new digital speedometer. Models shown with optional fenders. Minimum Age: 16 Years Old.